Mercedes Mikhailov is a new member to the journalism crew and a passionate animal rights activist. She enjoys writing about controversial issues and topics that are currently in the teen media. 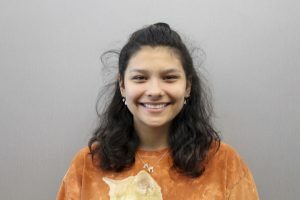 Mercedes hopes to get a better understanding of what it means to be a journalist along with improving her social skills with interviews throughout the year.